Tickets are limited as endorsed and are non-transferable. Tickets are valid for three(3) months from the date of issue. Prior arrangements must be made. The unauthorized resale of Sunshine Coast Connector tickets is strictly prohibited and will be prosecuted. Tickets are valid ONLY for the schedule, date and time for which purchased. Sunshine Coast Connector is not responsible for lost, stolen and/or unused tickets. No shows, missed departures, partially used ticket or unused services are non-refundable. 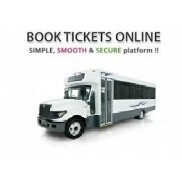 Fares are valid ONLY for the schedule, date and time for which quoted. Fares may be subject to additional charges including taxes, fees and carrier price differences. All purchased tickets, departure dates and times may be changed for a fee of $25 per ticket provided that space available for that particular day and all transactions and travels are completed within three (3) months of the original purchase date. Requests for exchanges must be made prior to the original travel date ( 72 hours); otherwise, the ticket will be null and void. All one-way and round trip tickets are good for three months from the date of purchase. Fares are payable in Canadian dollars only unless stated otherwise. Web fares can change. Peak and holiday travel blackouts may apply. 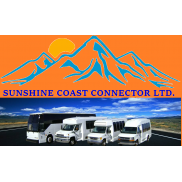 More information on ticket fares can be found on the Sunshine Coast Connector website. Unfortunately no refunds if a non-refundable ticket is purchased, it may be exchanged or used at another time. Non-refundable and refundable tickets are valid for three months from the day of purchase and may be eligible for exchanges. Any exchanges must be complete 72 hours prior to scheduled departure date. A change fee of $25 will be applied. Refundable tickets are eligible for refund only 72 hours prior to traveling date, otherwise tickets will be void. Sunshine Coast Connector is not responsible for lost, stolen and/or unused tickets. You may print your ticket, but it is not required, your picture ID and name will be sufficient for the driver to locate ticket on his/her passenger list. Tickets are nontransferable. If presented for transportation by any person other than the person for whom originally purchased, the ticket will be void. Departure dates and times may change. Carrier is not responsible for delays caused by BC Ferries delays or last minute changes, breakdowns, road conditions, weather or other conditions beyond carrier’s reasonable control. Bus service may be cancelled due to any of the above or force major. Please check for travel updates on our website prior to your travel date. With the exception of Priority Seating for disabled and elderly passengers, seating is for those who booked/purchased in advance, then on a first come/first served basis and is without regard to race, color, creed, national origin or any other protected characteristic. Sunshine Coast Connector Ltd. will not be responsible for lost, misplaced or stolen items or tickets. Any claims of damaged or lost baggage must be made right after passengers received their luggage or right after the trip completion. All baggage must be claimed promptly upon arrival. No Baggage Storage is available, all baggage must be collected once arrived at destination. Certain articles are not accepted for carriage. Click here for a list of items which are not accepted. There is no liability for unchecked baggage and/or carry on baggage. Baggage must be properly identified including name and address. Sunshine Coast Connector is responsible only for transportation on its own lines in accordance with applicable tariffs and limitations and assumes no responsibility for any acts or omissions of others. In no event shall carrier be liable for consequential or incidental damages for loss, damage or delay, including weather delays. The Carrier diligently ensures the safety & security of all its passengers, some aspects of public transport is solely the responsibility of individual travellers not the carrier, when at terminals, on ferries, and along highways included but not limited to taking precautions of personal safety while embarking, disembarking the motor coach, using handrails, proper footing, awareness of surroundings including platform & deck conditions, highway traffic & lighting. Sunshine Coast Connector Ltd. and/or agents assumes no responsibility for anything which may occur when the passenger is not in or on a vehicle operated by it and its responsibility shall be subject to the rules and regulations (including conditions limiting liability). Prices are per person, unless otherwise specified. Prices include GST and local taxes unless otherwise stated. Prices are based on the local tariffs at the time of quoting in Canadian Dollars. Price quotations are subject to change without notice until a booking has been confirmed. Cancellation of booking is available within first 4 hours of booking a fare. Any other confirmed bookings are eligible for exchange as long as it is completed 72 hours prior to the date of use, $25 change fee will be applies. Reservations changes are based on availability. Unless otherwise stated in the product detail, these policies apply to all products sold on this site. We are not responsible for damaged personal items in transit. NO FOOD OR DRINKS ON THE BUS AT ANY TIME, EXCEPT BOTTLED WATER. Thank You for using Sunshine Coast Connector.